React24 is a Which? Trusted Trader specialising in emergency plumbing and boiler repairs, with a fantastic library of positive client reviews of their efficient, reliable service. They offer 24 hour call out with fixed hourly rates and needed a new website and brand to showcase this. React24 were looking to get a sleek professional website to showcase the services they offer. The team needed specialist web development insight to help create a platform for them to improve their lead generation and to make their user experience more functional. Working to a pre-determined time frame and budget we provided React24 with the best possible experience and ensured we gave them the best start for their new website. 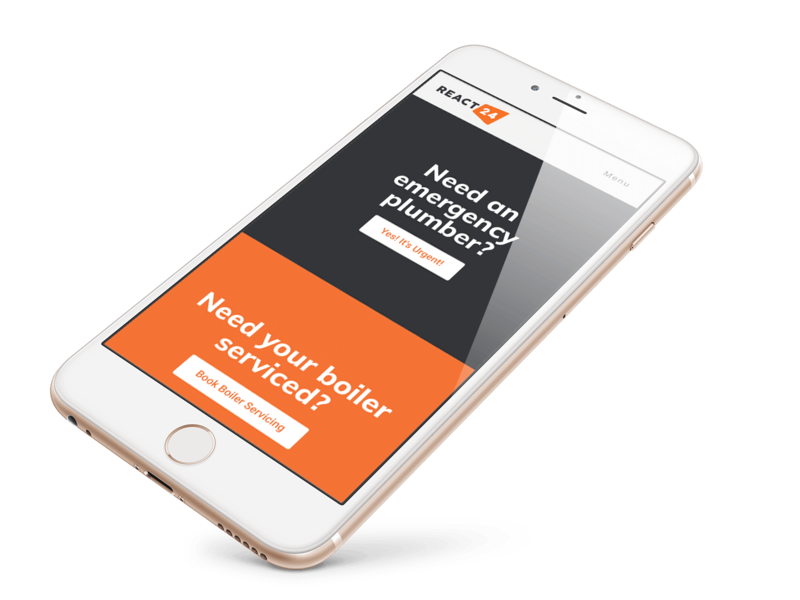 With the main goals of generating regular enquiries for emergency call outs and general boiler servicing and maintenance, we set out to create a simple and logical website that would make it easy for visitors to find the right contact information and details on pricing. With the branding we reviewed all local and nationwide competitors to create an original and modern look that would stand out from all other companies in the plumbing and maintenance industry. 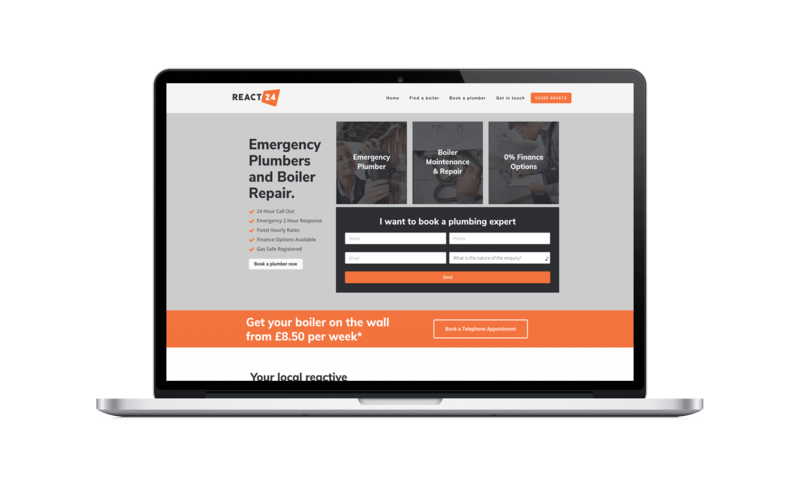 Following the launch of the new React24 branding and website and subsequent inbound marketing strategy, the company has seen over a 300% increase in overall website visitors with a 62% increase in new visitors who had never interacted with the brand previously. 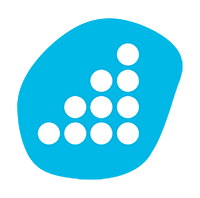 Overall, the company now achieves an increase in leads and call-outs month to month.